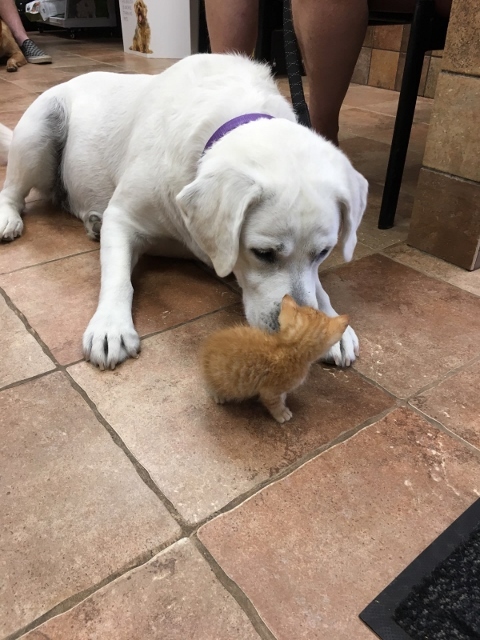 posted: July 10, 2018 by: Megan Harris, DVM Tags: "Clinic Specials" "News"
This little kitten and large Lab were making friends in the RVH lobby. How cute are they? !